What is Cannabis / Dagga? Cannabis derives it’s name from a plant known as Cannabis Sativa. 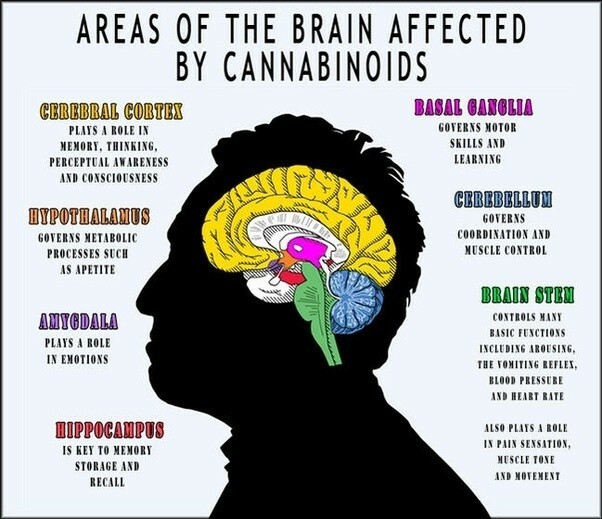 The plant contains many chemicals (cannabinoids) that cause impairment of neural functions in the brain. The main compound is THC (tetrahidrocannabinol), which causes the major effects experienced by users. The cannabis products that people use for recreation, are commonly called either marijuana (weed), or hashish (hash). They both come from the same plant species. In both products, the most potent active ingredient is THC, but there is a subtle difference between them. The immediate effects experienced by users include; feeling uninhibited, spontaneous, happy, relaxed, sociable, intensely aware of colours, sounds and smells. In general, users talk about experiencing a “high”. Cannabis is, in part, popular because there are no serious physical withdrawal symptoms, like those caused by alcohol and other drugs. However, abuse does impose some withdrawals when users try to stop, such as anxiety, insomnia and other unpleasant reactions. Many people experiment with cannabis or dagga at some point in their lives. Some are led to believe that the warnings about cannabis use are hypothetical or contrived. Other people believe that addiction is limited to a select number of people from a particular portion of society. In reality, addiction can target any individual, from any age, career or financial background. What makes cannabis abuse dangerous, are the many lures and myths surrounding it. For instance, there is the misguided idea that it can be used without obvious physical signs of abuse. Much is made of the medicinal virtue of cannabis, but this matter is often used as an excuse to rationalise abuse of the drug, without admitting the negative short and long term damage that abuse causes. Most people who start using it, are not correctly informed about the dangers and yet some are highly susceptible to addiction. Experimentation and peer pressure can introduce them to this drug. At first, it may seem like the ideal way to escape other issues or to simply relax and have a good time. It becomes a go-to “escape mechanism”, a relief from the challenges of life, without having to resort to alcohol or other street drugs. All these misconceptions make it seem like a “minor sin” and some soon start using it in private, away from the party and social scene. In the process, they become dependent on it and find it hard to break free, because they do not know how to cope with the withdrawals or out of fear that the underlying disorders, which set off their addiction in the first place, can not be coped with in any other way. They also fear that it may disappoint others or cause humiliation if they admit the problem. This is tragic, as there are well established treatment procedures and the affected person can be helped to achieve a brighter and better life than ever before. Marijuana (weed) is made from the dried flowering tops of the cannabis plant. It is typically mixed with the dried leaves and crushed stems of the plant and sold as dried plant matter. Drug dealers often mix it with other, cheaper substances to increase the mass (and their profits). Hashish (hash) is made from resin (sap) which is extracted from the plant and then compressed into semi-solid blocks, slices or other shapes. Hashish is “stronger” than weed, as the THC is more concentrated, but the difference depends on the purity of the end products. Specialised strains of dagga have been developed and new ways of refining the substance make modern marijuana far stronger and easier to get addicted to the substance than it was a decade ago. Myth: People do not become addicted to cannabis. Fact: It is well known that some people quickly become mentally addicted to the short term “rewards” of cannabis. Some experience mental withdrawals, which they counteract by using more cannabis. Not all people are susceptible to addiction, but nobody knows if they are, until it’s too late. Myth: Cannabis is “better” than alcohol. Fact: Cannabis and alcohol are both harmful. Avoiding one does not justify taking the other. Myth: Cannabis is good medicine, so it’s good for us. Fact: There are many strains of cannabis plants, with many different chemicals. Some are specially prepared and used, under medical supervision, to overcome certain ailments, just like other prescription medicines. Wanton abuse of recreational cannabis is not the same thing. Myth: All cannabis abusers are “high” all the time. Fact: Most users actually take it in moderation. The danger lurks in not knowing who will end up with an addiction problem and start taking it in excess. Myth: Cannabis users become criminals. Fact: In most countries, you are “technically” classified as a criminal if you have cannabis on you. As for becoming a career criminal – there is no such evidence. Criminals sometimes smoke weed, but they also drink alcohol and do many other things that law abiding people do. It does not make marijuanna users habitual criminals. The danger is that it suppresses inhibitions and some users may then commit deeds that they would normally not have done. Myth: Cannabis makes you creative. 1. After alcohol, it’s the most commonly used addictive substance. 2. Most young people start using cannabis when it is offered by peers. 3. It causes memory loss, poor concentration, difficulty thinking and learning. 4. Takes days (even weeks) to leave the body (and side effects can last that long). 5. In prolonged use, you must take more and more to get the same euphoric effect. 6. Leads to psychosocial problems, such as anxiety, depression, paranoia. 7. Can cause lung diseases like cancer and tuberculosis. 8. Is a “gateway” drug – makes it easier to move on to more dangerous drugs. 9. Possession or consumption is illegal in most countries – you can be arrested and convicted. Increased appetite, constant need for snacks. Anxious, paranoid, frightened, nervous, on edge. Smell of cannabis in room, on clothing, hair, breath. Heightened awareness/sense of sounds, colours, smells. There are various, well established, cannabis addiction treatment programs available that can be tailored to fit your situation. These programs enable patients to stop their dependency and to heal the underlying emotional conditions that they are grappling with. It also prepares them for dealing with real life situations after the treatment process had been completed. An interview is always the first step in any addiction treatment center. It is intended for an open and honest evaluation and to offer the best advice for the affected person’s circumstances. When you come in for an interview, you will meet with an experienced therapist for a meaningful discussion and a professional assessment to help you decide on the way forward. Please feel free to phone us for advice or to arrange for a confidential appointment with a trained therapist.